Perfection is real, and it is called Super Smash Bros. In Super Smash Bros. for Wii U, just like in all previous entries in the franchise, there is a very extensive stat tracker that you can access. After digging deep into the game’s labyrinthine menus, you finally find it, and you can see all sorts of statistics- the expected ones, such as your total wins and losses, of course, along with an extremely detailed breakdown of all the fighters in the game, and how much time you have pent playing with each. And then you notice just how much the two numbers actually differ by, and you realize, with a start, something you should have known all along- at this point, Super Smash Bros. is more than a game. It’s a veritable museum of all things gaming. That air of celebration, of nostalgia, of tribute, of inspiration, of evocation, of festivity, has always permeated Smash Bros., of course. Indeed, to a very large extent, a celebration of all things Nintendo has always been the point of Smash Bros. But right from the get go, Super Smash Bros. for Wii U establishes that it is taking this conceit of being a celebration, a theme park for all things Nintendo, beyond any game previous, beyond even other Smash Bros. games. It’s evident right from the get go- the intro movie starts, the main Smash theme starts playing, and no longer are you assuaged by the serious, orchestral overtones of Brawl, a game that tried to take itself and its existence too seriously. Instead, this Smash Bros. theme is fast, fun, festive, but more importantly, gamey. It sets the tone for what is to come. And then you are presented with the menus, and it’s easy to get overwhelmed. There were some doubts, when Nintendo chose to release Super Smash Bros. for 3DS before this game, that somehow, the release of that game before this one would end up compromising the perception of mystery and endless content, at the very least, that Smash Bros. games have always been known for. Amazingly enough, that is not the case, because the Wii U game matches the Wii U game line by line in terms of content, and then, incredibly, nearly doubles all of that to present a package that is so bursting at the seams with stuff that it’s easy to simply feel a bit lost. "And then you are presented with the menus, and it's easy to get overwhelmed." It all works like a theme park, really. That’s what this Smash Bros. game comes across as, a true Nintendo Land. There’s the central Smash mode attraction, where you can get down to instantly duking it out using any of the unlocked characters in up to four player fights, either against CPU opponents or locally, or some combination thereof. There’s Smash World, which is Smash Bros.’ frenetic take on the frenzy that Mario Party usually brings with it to the table. There are Event matches, that present you with very specific objectives you have to meet on the battlefield to qualify as a victory, such as taking down a certain number of enemies without exceeding a certain amount of damage taken for yourself. There is the revamped Classic Mode attraction, which now allows you to control the intensity of the experience to a ridiculously granular experience by borrowing the Intensity Meter from Sakurai’s 3DS hit, Kid Icarus: Uprising, and has you face a series of opponents from the Smash roster, until, finally, you face off against the Master Hand and Crazy Hand- and if you’ve managed to survive until this point on higher difficulties, variations thereof that are absolutely balls crazy. There is the Master Orders and Crazy Orders attraction, where the Master and Crazy Hand give you specific orders to achieve within the parameters set in a match, and you have to complete them in a crazy risk/reward setup. There’s the All Star Mode, where you battle gaming’s biggest stars in reverse chronological order, starting from 2014, and going back all the way to 1980. There are the Multi Man Smashes, which challenge you to take on hordes of enemies with the deck increasingly stacked against you, until you get to Cruel Smash, and it’s impossible to even get one hit landed. There is the Home Run Contest, which challenges you to beat up a boxing bag, and then smash hit with a baseball bat as far as you can, to set a record. There is the Target Smash mode, the revamp of the old mode from previous Smash games that works like a Smash Bros. take on Angry Birds. There is the Trophy Rush mode, where you pay for the chance to win more trophies in a frenetic time attack mode. There is, of course, the simple training mode where you can just get used to new characters. There is, of course, the main attraction of the event- the absolutely crazy Eight Man Smash mode, which sees you and up to eight other players (either locally, or CPU controlled) duking it out on the same map, and giving the chaos of Smash Bros. an all new meaning. And this is all without me mentioning the suite of online modes, which let you battle in ranked matches (For Glory), and unranked ones (for fun), with friends or with strangers. This is without me mentioning the Salty Bets-esque Spectator mode, where you ca watch other players battle online and bet the in game Coin currency on who will win. This is without me mentioning the ‘Conquests’ that Nintendo holds twice a week online. This is without me mentioning the over 500 Trophies that you can unlock. This is without me mentioning the obscene amount of characters to unlock (you start with 40, and end at 50) which includes Nintendo’s own all stars catalog featuring heroes both past and present, as well as third party favorites such as Sonic, Pac-Man, and Mega Man, and then are challenged to master each mode with. 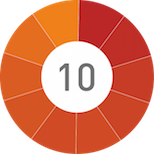 This is without me mentioning the Challenges you can complete, which unlocks even more stuff. This is without me mentioning the stage unlocks. This is without me mentioning the soundtrack pieces you can unlock (the final soundtrack has over 400 pieces in it), or the timed NES and SNES demos that represent the games the characters in the game originally come from, titled Masterpieces. This is without me mentioning the ‘Milestones’ (think achievements) you can achieve. This is without me going into the map editor mode. Or the Photo Mode. What I am saying here is, there is a lot to do in Smash Bros. Wii U. It’s actually unreal. You can spend hours just fiddling away in the Sound Test menu, listening to the gorgeous remixes of classic tracks. You can spend so much time in the Stadium modes, or in Classic or All Star. You can be doing so much in the game, and not even have had one proper fight yet. "What I am saying here is, there is a lot to do in Smash Bros. Wii U. It's actually unreal." So, yes, Smash Bros. Wii U is loaded with content. Point established. Which is fine, but all that content is meaningless if it doesn’t play well. So how does Smash Bros. Wii U play? It plays wonderfully. Only time will tell whether or not it has the longevity that the legendary Super Smash Bros. Melee enjoys even to this day, and that Brawl ultimately failed to achieve, but the game is certainly like an apology to those who felt miffed by Brawl, while also doing its best to make sure that fans of Brawl’s more casual and friendly style of play don’t feel alienated by a sudden move back to a more demanding style of play. The series’ traditional, eccentric and unusual take on fighting games, which focuses on ringouts rather than knockouts, returns. Smash Wii U plays faster than Brawl, but slower than Melee. 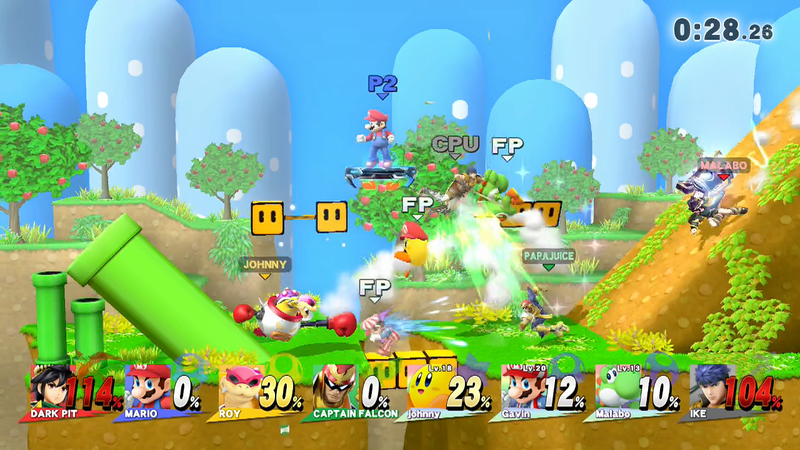 It’s had all the frustrating random elements from Brawl, such as tripping, removed. 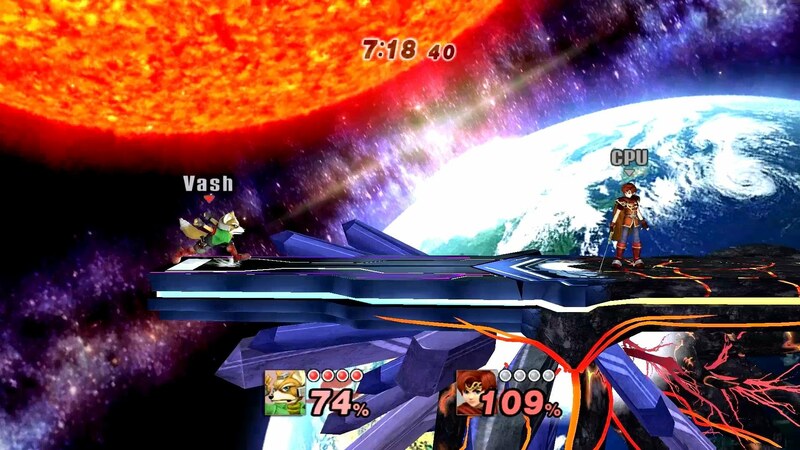 Edge guarding mechanics have been completely changed, leading to a more active style of play, and changing a big part of the Smash Bros. metagame. Characters have been rebalanced, so none are as broken as Meta Knight or Pit were in Brawl, and new characters have been adequately bestowed with unique strengths and weaknesses. Final Smashes still exist, but as always, can be turned off. Super Smash Bros. for Wii U does an amazing job of simply appealing to you incredibly well, no matter what your stance was on either Melee or Brawl, and a large part of this owes itself to how flexible the game ultimately is. You don’t want to just battle on Final Destination, but you are tired of the random elements in other stages that make it impossible for you to enjoy a proper skill based match? No problem, turn on Omega Mode, which flattens each stage to a single platform, turns off stage hazards, but keeps the aesthetic and music- perfect for one on one confrontations, without the monotony associated with just battling on Final Destination for every single game. Don’t like using the Wii U Gamepad? That’s okay, you can use the Wii U Pro. Or the Wii Classic Controller. Or the Wii Classic Controller Pro. Or your Nintendo 3DS. Or the Wiimote. Or the Wiimote/Nunchuk. Or even the Gamecube controller. Like playing with a certain controller, but don’t like how the buttons are mapped? No problem, go ahead and remap every individual control to your heart’s content. Want just some items on, but not others? Done. Handicaps? Done. Timed matches? Done. Stock matches. Done. Timed stock matches? Done. Want to play on Onett but listen to Fire Emblem’s Together We Ride while you do that? Done. You want it? You got it. There is literally nothing Smash Bros. Wii U won’t let you do. The Omega Mode, in particular, probably came as a boon to Sakurai and his army of developers, because it is evident that, freed from the constraints of balancing at least a few stages for competitive play (why bother, when every stage can be flattened via Omega Mode? ), they went absolutely nuts. Nuts. The new stages in Smash Bros. are insane, featuring gorgeous backdrops, amazing stage hazards that mix things up every single time, and new objectives, particularly one memorable Metroid stage where you can recruit Ridley to fight by your side, and another where throwing enemies into the lava can lead to instant knockouts. All of these are mixed with some returning favorites, including, yes, Onett, Pokemon Stadium, Skyworld, and many, many more. And of course, the series staples- Battlefield and Final Destination- both return too, with the latter looking stunning, and being the absolute best incarnation of the franchise’s signature stage yet. "With as much going on on screen at once as eight players, dynamic stages, multiple items, explosions, and knockouts, the game never skips a beat, and continues to run in a stunning 1080p of resolution delivered at a steady 60 frames per second that never, ever slow down. At a time when even Xbox One and PlayStation 4 games fail to deliver on that promise, Smash Wii U almost seems to be making a statement." So much for how it plays. But how does it look, how does it sound? This is, after all, a gaming market where people break their game down to literally an individual line or pixel on the screen. It looks gorgeous. With as much going on on screen at once as eight players, dynamic stages, multiple items, explosions, and knockouts, the game never skips a beat, and continues to run in a stunning 1080p of resolution delivered at a steady 60 frames per second that never, ever slow down. At a time when even Xbox One and PlayStation 4 games fail to deliver on that promise, Smash Wii U almost seems to be making a statement- yes, the Wii U may be weaker than those two consoles, but it is perfectly capable of delivering on the kind of crazy visuals that you would want, and here is proof. And indeed, Smash Wii U is proof. While there is no doubt that purely from a technical perspective, this is not as demanding a game as, say, Far Cry 4, a combination of an amazing art style and some adept technical mastery come together to make Smash Wii U one of the best looking console games currently on the market. As with Mario Kart 8 earlier this year, Smash Wii U is a statement of intent, and a reassurance to Wii U fans- you don’t need to worry about being left with as visually inferior games as you were in the Wii era. With Smash Wii U, Wii U currently has one of the best looking ones, on the contrary. 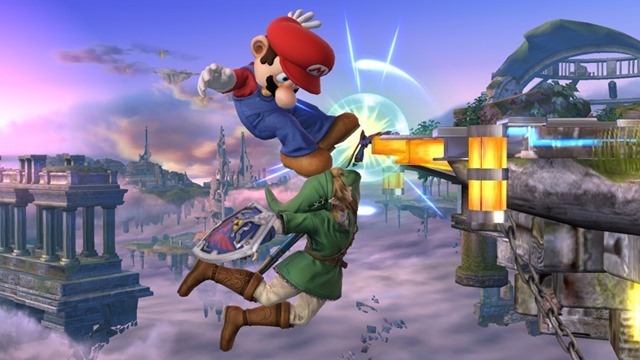 "The takeaway is that Super Smash Bros. for Wii U is a perfect game. " All of this is, of course, backed by a stunning background score, that feature tunes and pieces from Nintendo games, previous Smash Bros. games, and of course, Sonic, Mega Man, and Pac-Man games, re-mixed and given new life. All of this without even mentioning the new, original tunes that this incarnation brings to the table with it, including a main theme that is quite possibly the best one in the series’ history yet. And then there is the online- in a surprising departure from tradition, in a year full of games that launched with almost unplayable online modes, Super Smash Bros. for Wii U delivers on a smooth online mode, that almost never gets in your way or compromises your play session. The suite of modes includes options to play with friends (which lets you fully customize the setup of the game just as you would with a local game), strangers in ranked or unranked games, 1v1 or 4 player Smashes, with or without teams, a spectator mode, online sharing, Smash’s take on the leaderboards concept… it’s actually a pretty extensive list, and it all works, with almost minimal lag, which is surprising especially because this is Nintendo, and also because Super Smash Bros. for 3DS was plagued by vicious lag spikes. Of course, you may run into the odd game where there is some lag, but the chances of that are no higher than they would be in literally any other game on any other system, and might in fact be lower- in over 100 online games, I remember having only two with any sort of lag, of which only one was actually bad enough to impede play. That’s a very good record right there. I’ve said so much, and I haven’t even yet gotten the chance to talk about the two new things that this game brings with it to the franchise. One is, of course, character customization, which was already featured in Smash 3DS early this year, and works pretty much the exact same way (and even connects with your 3DS game, allowing you to bring over customized fighters and Miis into the Wii U game). The other is the much touted Amiibo functionality, where you can buy one of the many NFC powered Nintendo figurines on offer, and scan them and bring them into the game. Amiibos work surprisingly well- much better than I expected them to, and well enough that I’m probably going to end up with more of them than I anticipated. Essentially, you put your Amiibo on your NFC reader on the Wii U Gamepad. Once it is scanned into the game, you can name it, ‘feed’ it equipment to customize it, and then you can take it on in Smash mode, where it can either fight on your side or against you. Amiibos unlock things for you by fighting, just as you would, and as CPU opponents, are much smarter than what you get in game, potentially going as high as Level 50 (in game CPU opponents are capped at Level 9), and with a dynamic play style that learns from your own, learning to predict your moves, and counter them properly, and basically playing as a human opponent might. It works really well, and if you anticipate not having friends over to play with as often as you would like, is highly recommended. What is the takeaway from all of this? The takeaway is that Super Smash Bros. for Wii U is a perfect game. It does a million things, and it does all of them incredibly well. I’ve been trying to think of something that it does badly, and I came up blank. The most I could muster up was the lack of a ‘campaign’ mode like Adventure in Melee, or Subspace Emissary in Brawl, but the complaint rang hollow as the game offers you more single player content than you can possibly hope to master in any reasonable amount of time anyway, with so many other modes to make up for it. Smash Bros.
Wii U is the perfect game. It has a theme park like, arcade sensibility, with no pretension of being anything but a game, a game that celebrates video games, and all that they stand for. And it is a perfect video game because, very literally, if there is something you don’t like about it, it lets you change it to where you do. If, at all, you think yourself a video gamer and have any respect for the medium, you owe it to yourself to play this game. The fact that I sat here for a good quarter of an hour trying to think of something to put in this field.